April 24, 2015 marks the 100th anniversary of the day Armenians commemorate as the beginning of the genocide committed by the Ottoman Turks, which claimed the lives of 1.5 million Armenians. This month there are commemorations being held in cities and towns all over the world. 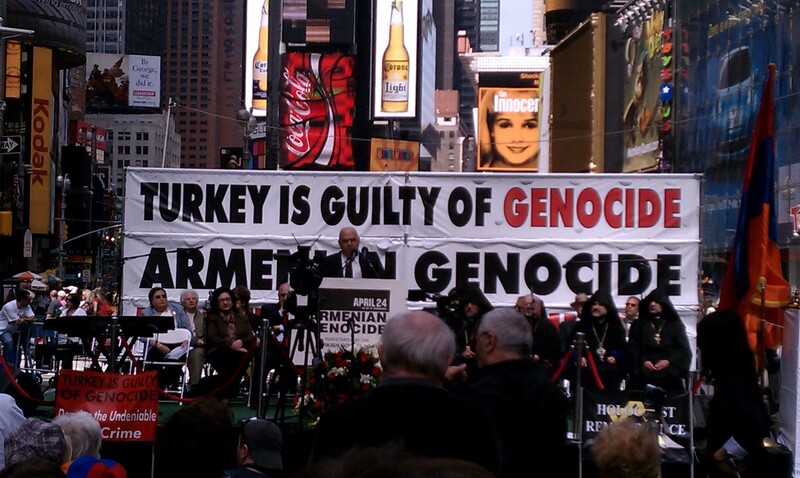 The site for the Armenian Genocide Commemoration scheduled on Sunday April 22, 2012 in New York Cityhas been changed. Due to rain, today’s commemoration will be held at the St. Vartan Armenian Cathedral complex on Second Avenue (between East 34th and East 35th streets). See “2012 Armenian Genocide Commemoration Events in New York, Los Angeles, San Francisco, Massachusetts” (Posted April 8, 2012) for more details about the event, schedule, and contact information). A memorial tribute to Armenian martyrs featuring the Sayat Nova Dance Company of Boston. Sponsored by the Armenian Genocide Commemorative Committee of Merrimack Valley. Begins at 3 p.m. at North Andover High School, 430 Osgood St. Admission: adults, $15; students, $5. Location: homenetment ararat 3347 san fernando rd. Location: Hammer Museum 10899 Wilshire Blvd. Gathering at 9:30 a.m. at Merrimack and John Sts. for procession, followed by program and reception. Join us in a requiem service remembering the 1.5 million lives lost during the Armenian Genocide perpetrated by the Ottoman Empire. Keynote Speaker: Raffi Momjian from the Genocide Education Project. 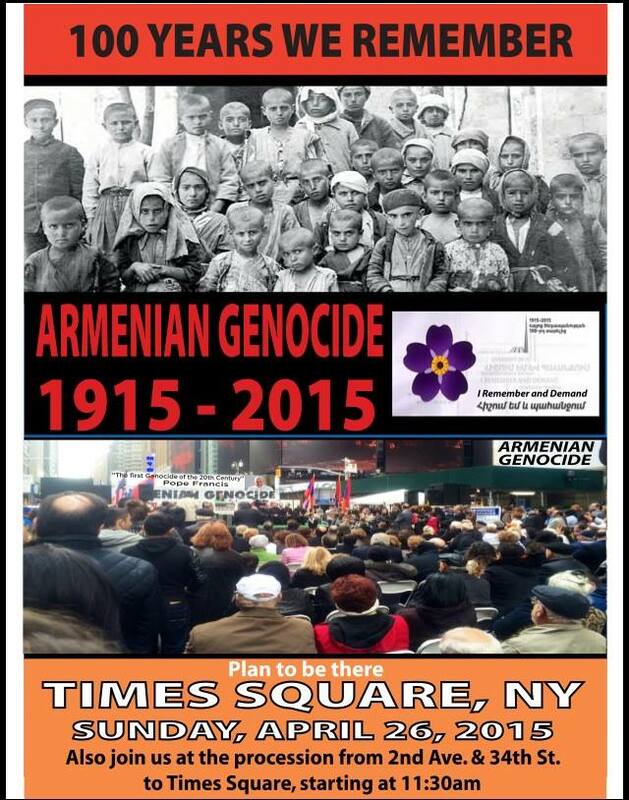 Community gathering and program to commemorate the victims of the Armenian Genocide. Cultural program with Stephan Astourian, keynote speaker. The 2nd Annual Bay Area Walk Against Genocide is our way to take part. Hundreds of people walked including genocide survivors, community leaders, students and neighbors for a day of reflection, speeches, advocacy training, and a collective walk around Lake Merritt.